What's in a blood alcohol level? The National Transportation Safety Board on Tuesday recommended the legal limit for driving drunk be lowered from .08 blood-alcohol content to .05 in an effort to reduce alcohol-related motor vehicle crashes, which kill about 10,000 people a year. Your blood-alcohol level can vary depending on your age, weight, previous alcohol and drug experience and the type of alcohol being consumed. "You can drink alcohol faster than you can remove it from your body and that's when your blood-alcohol level goes up," says Robert Pandina, Ph.D., and the director of the Center for Alcohol Studies at Rutgers University. According to the Mayo Clinic, it takes the body roughly one hour to metabolize a single drink but the definition of what constitutes a drink changes depending on the alcohol. A drink is defined as 12 ounces of beer, 5 ounces of wine, or 1.5 ounces of 80-proof liquor. "If you keep drinking alcohol, it's not going to get metabolized any faster just because you've consumed more of it," explains Pandina. "Metabolism happens at a fixed rate until all the alcohol is processed." Pandina calculates that a woman weighing approximately 110 pounds would have to drink between 12 and 13 ounces of 80-proof liquor in an hour to reach a blood-alcohol level of 0.40. "It's still a lot but it's far less than people may imagine," says Pandina. A person may need medical attention with a blood-alcohol level under 0.2. Vital functions may start to shut down before someone reaches 0.25. Death is possible with a blood-alcohol level of 0.3. And that's without prior liver damage from previous alcohol or drug use. A person with a damaged liver is at higher risk for catastrophic or fatal alcohol poisoning because his or her liver cannot effectively metabolize the alcohol. "The message is very simply when you know someone has been drinking and drinking heavily, don't wait," says Pandina. "It's quite possible to revive individuals even at very high alcohol levels and keep them from having catastrophic effects." I've said it for years. You can do drugs, you can comsume alcohol...you just can't do ALL the drugs, or ALL the alcohol. NOt the drug, not the alcohol, the irresponsible person(s) doing it. Addiction is a choice. Get help, stay alive. Hey Tom, it's been medically proven addiction/alcoholism is a disease. Alcoholism has been recognized for many years by professional medical organizations as a primary, chronic, progressive and sometimes fatal disease. For you to say addiction is a choice is ignorant and irresponsible. Before spewing nonesense do your homework first. Addiction is a choice? You sir are ignorant. JIMBO i completely disagree. people choose to do drugs or alcohol. maybe there's driving forces in your life that will make you more susceptible but in the end the bottles in the hand of the alcoholic. Those studies are just a crappy way for addicts to justify their habits. It starts out as a choice, but it in the end it is a fatal disease. I have watched a friend who deliberately got fired because she consumed booze and vicodin at work. They gave her several chances but she deliberately sabotaged the drug tests because she doesn't want to work. She has ruined her life, and many of us paid for rehab and and other bills. She just doesn't care. It is easier to stay drink than face life and deal with it. Sure drinking/using starts out as a choice, but for some people (addicts) you can't just stop. You have a physical/mental craving for the drug/alcohol. It's a recognized disease by all major health organizations. Is cancer a choice? You can have your opinions. But I'm basing my point on FACTS. Clear defined facts. You cannot dispute facts. You may never except it as a disease, and that's fine. That's your opinion. Whoa, folks. I've been there, done that, on alcohol abuse, and I assure you that the medical and treatment communities are NOT unanimous on this. I certainly have questions myself. Ultimately, if one quits, one decides to quit, which at least makes it a different kind of disease, and one that can be conquered with a strong will and other support. Ever hear of anybody deciding not to have their cancer? Well as per medical definition, it is a disease. You might wanna Wikipedia it before you disagree. If you still agree or disagree thats a different story, but alcoholism is a disease as per definition of a disease. Don't think addiction is a choice. Consumption, definitely, but an alcoholic seeks out a drink to feel comfortable. Once they're comfortable, they're going to want to get drunk. Once drunk, they're not going to be able to say, "I'm drunk enough." They can never be "drunk enough". Sorry, it has never been proven that it is a disease. Why, because it is not a disease. It is only classified as a disease to make money off of weak minded people, period. I agree with Cutty – addiction is a hybrid of disease and choice. To call it a choice is too light – it implies that someone can simply stop being an addict. To do so takes an entire overhaul of someone's life, not just a simple decision. Even addicts who are sober for extremely long periods of time (10 years plus) struggle with the issues that impact their addiction. However, to say it is a disease implies that you have no control over your addiction whatsoever, which is not true. My brother used to use the "addiction is a disease" as a crutch as to why he was so completely helpless about it. In his eyes, he had a disease and therefore no control over it and no responsibility for it. Whatever you call it, it takes an enormous amount of courage, support, strong will and humility to battle and manage addiction. Sorry it is a 100% choice, period. My father, who used to drink no less than 12 beers a night was told to stop drinking by his doctor and he did that day and did not drink again for over 30 years. Now as he is well past retired he has a drink here and there, mostly on special occasions. Can't do that if it's a disease, period. Jimbo – He is partially correct. Doing enough to get to the point of being an addict is a choice. Sorry, but it is. And not every professional believes addiction is a "disease." In fact, there are many, many, many medical and behavioral scientists who do not view addiction as a disease at all. In fact, it doesn't meet the criteria for "disease" so it has not been "proven" to be so. You are wrong – your "facts" are not, in fact, facts. LOL. The problem has been – once you state it is not a disease, people jump down your throat. It's sad. It's very difficult to have an intelligent, scientific conversation about it with a lot of people. Jay – Wikipedia? SERIOUSLY? REALLY? Alcoholism is considered a disease because it meets the 4 characteristics used by the medical community to classify illnesses as such: it is primary-meaning it is describable & identifiable & causes other physical problems-and it's progressive, chronic, & fatal. These might not be the characteristics you would use to determine what is a disease or not but it is what medical professional use. Having had many family members that have suffered from alcoholism, I consider it a mental disease. Much like anorexia, drug use, etc, it begins as a choice but once the threshold between choice and addiction is crossed it becomes a disease. Anyone that has personally known a true alcoholic knows that when they reach the point of full blown addiction there is no "putting down the drink & walking away". Sit with someone in the hospital for 3 days while they are experiencing withdrawal from alcohol and there will be no doubt in your mind choice has been removed from the equation. There is no such thing as addiction, just weakness. AG – being strangled by someone also meets your criteria for disease, but I'm pretty sure most people would say the victim was murdered by the intentional act of a person, not that they died of the terrible disease of strangulation. Consuming alcohol and drugs is also an intentional act. Simply not a disease. Hy, Jimbo.....it's a disease of choice. You can chose to have the alcohol yes ... but nobody chooses to be addicted. Hey jimbo ur name is deff jimmy! Alcohol and drugs are both a choice and an addiction...I was raised around both...I made the choice to do both for many years...and yes I was quite addicted. I finally chose to stop for many reasons including health and not raising my kids the same way I was raised! It was very difficult to stop both...but with proper help I have lived sober and happy for many years now. My personal opinion is its a choice not a disease..I have alcoholism going back many generations on my moms side and I was able to break free...as were my siblings...Its ok if someone disagrees with me...thats your choice...I made mine! To drink or not to drink is a choice. To have or have not an addiction is not. If addiction was a choice I know a lot of people who would choose not to be an addict. I ironic part sober or intoxicated all starts with the same choice to use or not to use. Addiction is not a choice it is a disease. Ignorance is a choice, stupidity is a disease. If you have never learned about it you are ignorant. If you have learned and still can't grasp that it is a disease than you have the disease of stupidity. I have the feeling that people who drink themselves to dead might be sick with some real ailment that goes undiagnosed. Perhaps the alcohol is the coping mechanism. They might not be sick because they drink too much; perhaps they drink too much because they are sick. I mean a sickness that is in the organs or the blood, I don't just mean something emotional. The AMA defines Alcoholism as a disease now in their literature, but the debate hasn't ended there. As someone in recovery I know that what works for one doesn't work for all, so it's best that we try to extend whatever help may be accepted once someone has expressed a desire to change, and then turn it over to the professionals. Alcoholism is a choice, if it wasn't, then you wouldn't be able to choose to work the 12 Steps, which are 100% successful when implemented as suggested. You don't have to agree alcoholism is a disease. You'll sound ignorant, but not get into any trouble unless you pretend to be a Doctor. ITT: Trolls pretending to have expert medical opinions...without the license. EVERYONE knows what the effects of drinking are. If you become addicted, it's because YOU chose to start in the first place. I think I'll go hang out in a hospital ward full of people with active TB infections and not take any precautions to avoid infection. Hey, maybe I'll walk around barefoot in a junkyard full of rusty metal. Or, I could go out and play in the snow for a few hours without a coat and gloves. Everyone should feel sorry for me and treat me special and not hold me accountable for getting TB, lockjaw or pneumonia because hey! Now I have a disease! A recognized name passes away from alcohol poisoning, and the response from many is, why is pot not legal? Not that I have any hard feelings either way as to whether or not pot should be legalized. But, alcohol is an insidous legalized drug. It's effects can creep up on a person, who starts out as a recreational drinker, often due to peer pressure, socializing, family habits, having a good time, whatever, etc. In my own case, I was in my early 20's when I started drinking. To that point I had been a very athletic runner and highly conditioned and disciplined individual. 25 years later, I am 100lbs heavier and, although I do still retain some of my basic fitness, I would not want to chance running more than a block or two at more than a gentle jog. As far as I am concerned, alcohol is great if you can pick it up and put it down whenever you choose. Unfortunately, for many it is a highly addictive substance, that is very cleverly marketed. Let me ask you, what does alcohol really have to do with watching top class athletes perform? Many spectators are slowly poisoning and drinking themselves to death in the brew houses and sports stadiums. My real question is not why is pot illegal, but why is alcohol so very legal. Trust me, alcohol never did anything for me. It never did anything for those who lost loved ones at the hands of impaired drivers. Or the parents of Amy Winehouse. On cigarette packages, you can barely read the labels without running into the myriad or health warnings. Okay, so people still smoke, but the eductation is out there. With alcohol, there is a huge hill to climb, and kids need to be educated in good strong laymans terms before they take their first drink. Not to mention, the hole it leaves in your wallet! Now tell me, who is really benefitting from you swilling-back that 6-pack? Very good post, Mike! So much truth. Your post really hit home. I have lost so many loved ones to alcoholism. Not just their lives, but their personalities, intellect, etc... You can only consume so much alcohol before brain damage sets in. That's why people lose their jobs, not to mention their health and relationships. No question it's addictive, but there is some measure of choice involved. I chose not to drink because of the human wreckage I saw all around me from an early age. That said, I've known several people who have managed to stop drinking and turn their lives around. These are some of the bravest people I know. However, the best course is to never start in the first place. I wish you much luck, Mike. You have a good message and a good heart. Alcohol is still very legal because once upon a time the government made it illegal and it did not stop the use of it but it made it worse. So Congress decided that in the best intrest of the country they needed to reverse the decision that outlawed it in the first place. Alcohol is legal because we are adults and get to choose our own behavior. If you can't handle your liquor, put down the drink. It is total BS that anyone is simply incapable of putting down a drink on their own. Just another way to avoid taking responsibility for your own actions. Hey Mike – why don't you try getting off the couch and running some of that extra 100lbs. off? That is what's going to end up killing you, not alcohol. Very well said, Mike. While I don't think the pot issue needs to be stirred up right now it is easy to see how dangerous Alcohol is relative to it. Alcohol IS cleverly marketed and so readily available that people don't understand how damaging it can be. I'm not saying ban it, I'm just saying- you're right, education is needed. I just loved this line in the story: It's worth noting that police searching Winehouse's home reported finding three empty vodka bottles but it's not known if that's what Winehouse drank. I thought the same thing, but then I'll bet they found a lot more empty containers than just those three. I can imagine it was pretty much a dump of a place. Funny thing is I have never heard of anyone overdosing on pot. Nor have a room full of people smoking pot ever turned it in to a brawl. However it remains illegal in the US while drunk drivers kill people every day. ASK WHY!!!!!!!!!! Pot is illegal because they have figured that there would be no way to keep up wit hthe demand for Nutty Bars and Swiss Cake Rolls! a few reasons....big alcohol, tobacco and pharma are in the pockets of the government for protection. They fear that if another substance was introduced to the marketplace, that substance would take some of their market share and reduce their profits. Doctors are nothing but legal drug dealers. Why do you think they push for Marinol? Cause they can control it and make big profit off of it. The government will never be able to control people from growing the plant themselves if legal, thus cutting into their tax revenue. 1920's propaganda is used and referred to. many people dont care to research the subject and realize that more people die from fast food than weed. Everyone here bickers so much no wonder this country is going down the toilet. No one can put aside their own egos and agendas long enough for something positive to happen in this country. Bicker some more kids, you'd better remember how to hunt and fish when you pull this country down because you couldn't act right and make a change for the better. So keep on arguing, keep on debating, keep on pointing fingers and calling names. You're all at fault. Wow, your point is really moving. Way to lead by example, idiot. And I don't think stupidity is characteristic of only blacks.....sheesh! You're correct. It sticks only stupid people, race and gender not withstanding. THOSE OF YOU DEFENDING ALCOHOL ARE FOOLS. THE FACT THAT ALCOHOL IS MIND ALTERING MAKES IT DIFFERENT THAN PEOPLE ADDICTED TO CHOCOLATE OR FAST FOOD. ALCOHOL, LIKE OTHER DRUGS, DOES NOT LIMIT ITSELF TO THE ABUSER. ALCOHOL IS INVOLVED IN 85% OF SPOUSAL ABUSE CASES, 45% OF CAR ACCIDENTS, 35% OF MURDERS, 75% OF RAPES, 50% OF GAMBLING ADDICTS, AND IS RESPONSIBLE FOR ALMOST 50% OF HOMELESSNESS. SO THOSE OF YOU WHO SAY ITS NOT THE ALCOHOL BUT THE INDIVIDUAL ARE IDIOTS. MOST PEOPLE CAUGHT FOR DUI'S HAVE DRIVEN UNDER THE INFLUENCE ON AVERAGE 75 TIMES BEFORE THEY ARE CAUGHT. ADVERTISING OF ALCOHOL, LIKE CIGARETTES, MUST STOP. PUNISHMENTS MUST BE MUCH MORE SEVERE. THOSE UNDERAGE CAUGHT DRINKING MUST HAVE THERE LICENSED SUSPENDED FOR A MINIMUM 4 YEARS. TAX ON ALCOHOL MUST BE RAISED SIGNIFICANTLY!!!. THAT IS THE ONLY WAY IT WILL BE REDUCED UNLESS YOU BAN IT COMPLETELY. AND FOR THOSE OF YOU WHO THINK PROHIBITION WAS A FAILURE...YOUR WRONG. IT FAILED BECAUSE THE REPUBLICANS PASSED IT BUT DIDNT ENFORCE IT. MOST STATES DIDNT EVEN RECOGNIZE IT. THOSE THAT DID SUCCEEDED IN REDUCING ALCOHOL RELATED CRIMES AND ACCIDENTS TREMENDOUSLY. I would of read your post, but the all caps is just plain scary. Why are you shouting? We're not blind. But you may need Valium. Prohibition was a total failure. I am not defending alcohol and consider it to be the worst of all abused drugs. However, all making it illegal accomplished was to make people like Al Capone extremely rich. I do not care how illegal something is and how harsh the penalties are; if there is a market for it, someone will supply it. I am not sure what the answer is; but I do know locking up addicts is not it. You state some valid points Wake Up, could you please use lower case letters also, ALL CAPS make it difficult to read and don't make the words louder. I love booze. Drink about 15 drinks a day for 30 years, don't drink and drive, am fit, successful and happiliy married with kids. I am involved with many charities and civic groups and so are my employees and family members. My organs function perfectly and I will live a long life. Now, the Jewish people, Native Indians, African Americans, and Spanish can not hold their liquor because of genetic maladies. Stay strong, stay white, stay drunk. Peace out! Burp. All those percentages are just AWESOME !! Now, can you tell me WHERE you got them? Or is it just your opinion? I think it's funny that you made this into a racial issue, lol. "Opinion", if clapping it out might help go ahead "O-pin-ion". had a couple girls when i was in college that got alcohol poisoning. They looked horrible. It was obvious something was wrong with them. We took them to the hospital and they did the whole charcoal in the stomach fix. i'm surprised people actually die from alcohol poisoning nowadays. All you need is a friend to take you to the hospital. I was working a hospital in the 1970s when the cops brought in a guy that was totally wasted, but still barely alive. We took his BAC twice because we didn't believe it the first time. The readings we got were 0.59 and 0.61; this person should have been very much dead. The man survived; but required a weeks' stay with us before he was sent to another facility. I got to talk to him a bit. Turned out he hadn't been sober in 30 years and had been living on the streets for most of that time. He had once been a banker and family man. Took his first drink when he was about 25 and never stopped. Lost everything swimming around in a bottle. To this day I am still amazed a drug this deadly is legal while marijuana is not. While none of this crap is good for you; any doctor will tell you of all of the drugs that are abused, alcohol is the worst while weed is probably the least harmful. Doesn't make any sense. FYI ... I do not use or advocate the use of any mind altering drug. Pardon me, fool, but what does the persons color have to do with anything. Talk about racist, man. You are the very thing you hate. Don't worry... this particular chat board is where all the trolls come to say stupid political stuff and ignorant racism things. If enough people click on "Report abuse," the comments will disappear. 12 ounces of Vodka in an hour does not seem like much. But anyways, you dont hear of anybody overdosing on marijuana while sitting at home. Legalize It !! In my 63 years on this planet, I've observed human behavior on every drug you can snort, shoot, smoke or drink. I have enlightened myself to the fact if you're looking to consume a drug, you will. It doesn't matter what our silly laws say about which one is legal or not legal. The one concrete and abosolute observation I have made is: There's nothing worse than a DRUNK. The only reason alcohol is legal is because the law enforcers couldn't control it. It's just too damn easy to make in your bathtub if you are so inclined. Plus the fact that neighboring Countries didn't outlaw it, and the mob was conveniently importing it for us. A one-hit wonder druggie dies and everyone acts like it's the end of the world and some people even call for making alcohol illegal. 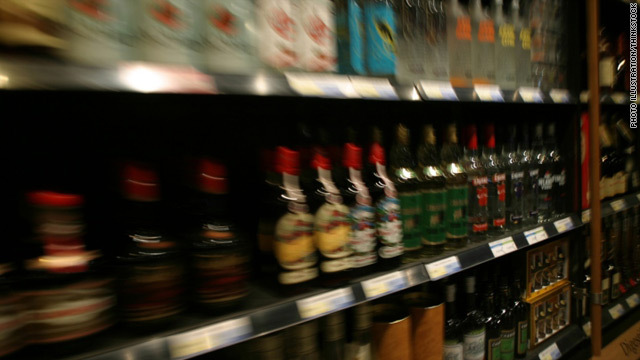 Can alcohol be a terrible, destructive drug for some people? Sure, but for the vast majority of people an occasional drink or having a few with your buddies at the bar on Friday night is normal and perfectly fine. Studies have even found that a single beer or glass of wine per day can help lower your blood pressure (possibly preventing a heart attack). Winehouse drank too much, and that's a shame; but it's obvious this woman had a problem long before she became famous, her one hit was a song where she said she isn't going to go to rehab after all. I'd like to see an article explaining why some alcholics literally drink themselves to death–slowly–KNOWing it's killing them but unable to stop. Now THAT is a mystery. it's called addiction...the whole point of addiction is being unable to control a habit that you know is excessive and quite possibly harmful to your health and well being. Very few would choose to harm their bodies to the point of fatality, but that is why it's such a monster. That's the nature of both addiction and of bad choices. As for the latter, there are people who refuse to wear seatbelts or wear motorcycle helmets. The former includes smokers, drug addicts and alcoholics. In the case of booze, the perceived benefits outweigh the negatives for the abuser. Thank you for all the idiotic comments about how weed is so good for you and never causes any problems. We are glad to hear that you smoke a plot of pot, really. We also need to hear from more people who want to believe that substance dependence is a disease because that means we are not responsible for our behavior. Hope I don't catch alcoholism AND the Flu. Save the country by making drugs legal and available to everybody. Just remember – drugs should be free and legal. Everybody is an expert except the real experts – they just lie for the government. stupid white people ? any human pick Your colour is stupid in that without an education its hard2 b smart at things buttttttt even street smarts has its limits education is the word do not lump me in with any race because i'm white u moron your the person thats stupid your so called viewpoints r miscalculated go back 2 school. This isn't Twitter, so write in complete sentences (with proper punctuation.) Or maybe that's the best you can do? Did you actually review the "sentence" you wrote telling someone to "go back 2 school"? Please educate yourself in regards to sentence structure, grammar, and punctuation. It may actually make your posts understandable. Kristal, the dry cleaners called, your white KKK gown is ready and has been starched and pressed. WHAT!? Good grammer now makes one a racist? What a racist post....you crack head. non-rational most of the time. Democratic choices are the average and scatter of the rational and the irrational, resulting often in a mishmash mess. Our American society's favorable treatment of some recreational drugs: e. g. tobacco products and alcoholic beverages; and strictures of other recreational drugs: marijuana et al; is a mishmash mess. There are effective twelve step programs: AA, Al-Anon, etc. ; available for those who need help in overcoming alcohol and drug problems. What we may be able to do about our USA problems may be much more problematical. Who wants to hit up happy hour? I'm in! Let me stop and pick-up a pack of smokes on the way. Hell yeah! It's 5 o'clock somewhere...after reading some of these posts, it's time for a drink! I am speaking from personal experience here. I've struggled with an alcohol problem for most of my life and have had many long periods of sobriety (including 11 years once). I don't care what the "experts" say. Problem is drinking a choice, imho. When I'm sober for a long period of time and make a decision to go to the liquor store and buy a bottle, is that not a choice? And I might add, ANYONE can become addicted to alcohol if they drink it everyday. It's an addictive drug, after all. Disease my A**. Everything you are able to enjoy in life can lead to addition. Roughly, 60% of our population is overweight and @ 30% morbidly overweight. If you can't handle the booze in proportion...avoid it. The same care needs to be taken for food consumption. Food will kill you are sure as booze will if you over indulge...it just takes longer in most cases. No mystery at alll, KwC. Your tolerance level increases at a cellular (and therefore psychological) level so you need more and more to get the desired effect. Your organs cannot keep up with processing of so much booze and shut down. Most addicts that have managed recovery will tell you they never really felt like themselves without a drink or two in their system until it spirals out of control. The only way I got sober is by recognizing – and this, my friend, is where the hard work comes in with lots of relapses – that I would either die or go insane. 4 u experts that believe pot is harmless think again any drug used to excess is not good 4 You, your vital organ's reject stimulants but Your brain likes the way your body feels thats y we love or like to get high we 4get our failures at being human and when quitting time comes withdrawals tell our body that we need our drug of choice 2 feel good its a tough job remaining straight i should know i've been an addict since i was a teenager its an everyday urge 2 feel good but with loved 1'ssssssssss caring and your ability 2 remain strong mentally we can get by afterall were just human. Tis obvious you damaed yer brain bone...ever think of runnin fer pris-i-dent? I dont think anyone is saying pot is harmless....but it is a fact that it is much less harmful that alcohol or tobacco. You can't OD on pot unless you can inhale about 11 pounds in an hour. Also, it's not a stimulant. What was I saying? "they try to make me go to rehab i say NO NO NO"
it nefer affacted mah brain enuf ta make me do enythin stopid y'all...like start no wahs & shi'ite. Amy knew from being educated about the effects of alcohol that it can and Will kill You whatever problem's she had mentally those problems 4 her are 4ever over R.I.P . Amy your problem's have been taken care off thanks To YOU ENJOY YOUR EXSISTANCE IN THE HERE AND AFTER. Lol @ "Ever hear of anybody deciding not to have their cancer?". Alcohol may, by some, be regarded as a disease, but it's not a hpysical thing like cancer. Same thing with cigarettes..i know people who quit smoking for a year after smoking for 10...just to show themselves they can do it. And they did without any problem. Alcohol and drugs come down to one thing, and one thing only. You are your OWN MASTER. (not speaking for those with brain damage obviously) But ya, most people are terrible weak-willed, even if they think they're not. Once again, You are your own master. And that's all there is to it. Learn to live people, or do what wine-house did Kthx Bye. Wonder how many People have died from Marijuana poisoning? Silly politicians! Alcohol is legal becasue it has been part of our religious ceremonies for centuries, plain and simple. If our culture stemmed from American Indians, pot would be legal – not alcohol, you can bet on it. so fifths of jack, johnny, or captain are used in religious ceremonies? Please tell me where. Plan fact is we tried prohibition and it didnt work because of the amount of people in the country drinking. Too big of a market to let the black market take over and reap the benefits. One of the biggest killers next to cigaretts yet marijuana is still illegal. Some things in America I just shake my head at. A little confusing, man. Want to clarify, please? This article could have been a lot shorter . It's a four step process . My sister died of alcoholism, so I know what addictive drinking can do to a person. She was so poisoned by booze, in and out of rehab, 2 DUIs, lost her children due to drinking, lost her marriage, lost her job, then lost her life. I tried to help her, but she just couldn't stay away from booze. When she died, she was waiting for a bed in a 3rd rehab center. Her drink of choice was vodka and grape juice. The more she 'cleaned up' then started drinking again, the less booze it took to make her drunk. It became that just one drink sent her down the rabbit hole. And, she wasn't into eating food... not really clinically anorexic, but she got her 'nutrition' from that grape juice. She weighed about the same as Amy W. A small female body can not process that much alcohol, like a 300lb man could. She was just poisoned from head to toe. Her autopsy revealed a liver 4 times the size of normal. I cry for her children who had to grow up without their mom with a legacy of alcoholism for them to keep in mind, since this can be a hereditary trait. And, she was just torn up about her own alcoholism. In lucid moments she'd vow to clean up and change her life, but emotional and mental anguish over paying bills and just living each day got the best of her and her screwed up mind told her to just have one more drink.. it will make you feel better. Instead, it killed her. Like they say in AA.. cunning, baffling.. whatever that statement is. yeah but the amount of water needed to kill yourself is much greater than alcohol. And you don't NEED alcohol to survive, though I know a great many people who would argue that point. Marijuana has countless benefits. It cures asthma and keeps away many forms of cancer. It is essential in maintaining a healthy metabolism as well as healthy skin and nails. It can give you a slight boost of energy when you are feeling drowsy and relieves symptoms of the common cold and flu. BUT MOST IMPORTANTLY, I NEED MAD WEED AND A THIRTY OF PABST TO PRAISE THE GREAT OBBOATMAN PROPER!!! HUCKA DA GNAR WATERFALLS AND SHRED DOWN THE STEEPEST CREEKS! OBBOATMAN FOR LIFE!!! NEVER DIE!!! I lived in Swedeen and have seen people drink alcohol all day long and every day of the week, their behavior is as violent as any other drunk person in the world. It does not have to do with race. Damn 5%ers, And really, if you're going to stereotype... I wouldn't talk thurr homie. I just hope she gets help and can survuce this. After 41 years of drinking, I started early, my wife had enough and got a friend to take me to AA. You work the program, literally for the rest of your life. Why do you drink? To stop the pain, for social reasons, some feel genetics as well as a variety of other theories. You have to want to become sober and stay that way. The alternatives are 1) Sober up, 2) Locked up or 3) Covered up. It takes a lifetime of vigilance and it has to mean more than anything else in your life to stay sober. However, some people simply drink to die. my father died from liver failure he was able to take a bottle of vodka and drink it like it was a poland spring water. He was 42 years old. Shame! I'm a recovering alcoholic. I got it figured out, but I had to sink quite low before I did. A DUI in 2007 at a BAC of .329 wasn't enough, getting kicked out of my house & living in a 1-bedroom apartment for 8 months wasn't enough. I could have died several times, but just kept on drinking. I read the Winehouse article & can hoestly say "ALmost me." It's a brutal addiction, but it can be overcome. Glad to be alive today. The American Medical Association classified alcoholism as a disease back in the 1950's. Its old news. If you want to drink, I have no problem with that, just don't get in a car or otherwise cause injury to others. Sit in your bar, living room, stadium and get as tanked as you want. Some day, you may choose not to anymore. But its your choice. You people are total BS! Let me tell you, none of you know what you are talking about. Alcohol is responsible for civilization, itself. It was the cultivation of barley and cereal crops for bread AND beer that brought us all together. I have a brother who is an alcoholic, so I do know. Anyone who says they have no choice is a liar. It's not that they cannot stop drinking...they simply don't want to, and don't want to tell you that. Plain and simple. Why is alcohol legal? Because prohibition didn't work, that's why. Just as prohibition on pot isn't working. It's not the substance, it's the person using the substance. It's not the gun, it's the hand that wields it! Alcoholism begins as a choice but the disease makes the person NEED to continue to drink. A very sad state for the addict and those around the addict. Addicts must choose to fight their addiction. What are the costs of medical dollars for alcohol addiction as compared to obesity and its related diseases such as diabetes? why is alcohol even legal, if it can kill you, cause the disease of alcoholism, while no human in history has ever overdosed on marijuana? Alcohol and tobacco are dangerous, lethal drugs as evidenced by Ms. Winehouse's overdose and countless cancer deaths from smoking. Yet they are legal. Why? Mucho tax revenue, the devil's filthy lucre. Drinkers and smokers aren't sick; society is. Banning is not the answer. It's ridiculous to talk about banning or outlawing tobacco or alcohol. Remember prohibition? The organized crime problem which developed rapidly was way worse than anything caused by legal alcohol. History has a way of repeating itself.